First, for a very quick recap - Disney Memory Maker costs $169 and gives you unlimited access to professional photographers who will digitally document your family's entire vacation experience with the simply swipe of your magic bands. Be sure to check out our earlier blog post What is Disney Memory Maker for more info and details. Disney Memory Maker is like having your very own vacation paparazzi! So you'll want to take advantage of this red carpet treatment. OK so I can blow a lot of magical pixie smoke here but instead I'd like to offer a deep fresh breath of reality. Planning a single family trip to Walt Disney World the right way is complicated...Travel, rooms, transportation, food, dining reservations, Magic Band, Fast Passes, shows, daily itinerary plans...WHEW! Now multiple that at least times 10 times. Yes, you'll need a MINIMUM of 10 rooms to qualify for any Disney Group Benefits. That said, it's been our experience that when word gets out that someone has already planned a group vacation to Disney World, friends and family seem to multiply like rabbits. Normally Disney Groups grow MUCH larger very quickly (and we can help you grow your group). And speaking of "group travel benefits" let me add a bit more reality....please do not expect some super cheap rates due to group buying power here. Perhaps I'm "imagineering" this but I wholeheartedly believe the head of Disney's Groups Department is the infamous Scrooge McDuck. Bottom line, Disney does not discount - period. And they don't take kindly to folks out there offering discounts either. The travel business is all about supply and demand. In 2014, Disney World welcomed over 130,000,000 guests. Discounts are used to entice people to buy. In the scheme of the Disney World universe, if you don't visit the Magic Kingdom there are millions of other people standing in line. Truth be told, a group vacation to Disney World will probably cost you a bit more than a beach vacation, cruise or any typical family trip. You're paying for the entertainment value here. 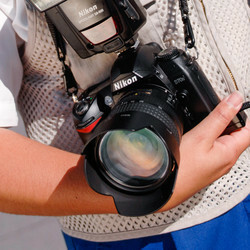 Those memorable touches like fun tee shirts, dining experiences and photo packages all add to the cost of your vacation. When you're planning a group it's those extra touches that create more camaraderie, build bonds and make memories. It's what puts the smiles on your grand kids' faces. It's about sharing time with the people you love most in this world. Tell me, how much will that picture of your little girl dressed as a princess be worth to you twenty years from now as you're walking her down the aisle? I can tell you the photo of I have of my parents sitting in the lobby of the Polynesian with my kids on their laps during check-in is utterly priceless to me now that my parents are gone. So it's not about "discounts and cheap", it's about "Time and Value". When you're kids grow up do you want them to remember you as cheap or smart? There is a big difference here. At Vacationkids, we strive to give your family the most value for their hard earned vacation dollars. We're here to save you wasted time and frustration while giving you more time to have fun and create memories with the people most important to you! So now that we're all on the same page - how do you get your group on a Disney World Vacation together? PLAN Ahead - At minimum, start making reservations 1 year in advance. Group trips planned less than 6 months out WILL have issues with dining reservations and character meals. 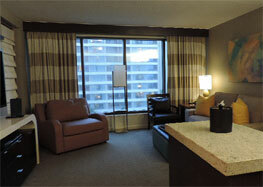 Making reservations and deposits 1 year in advance also gives us the time to set up a vacation payment plan. This will help encourage group participation by offering an affordable way for your guests to budget. Appoint a Leader - You're group will want a strong decisive leader when it comes to making travel decisions. This is the most effective and efficient way to get the job done. There are ways that everyone can voice their wishes and wants without causing confusion and conflict. Working efficiently WILL save money with flights and can make all the difference when it comes to availability. Good leaders know how to delegate and select or elect committee heads to help with group communications, crafting, luggage wrangling, dining plans, daily itineraries, Tinkerbell gifts, special celebrations and so forth. Partner with a Travel Agent - Here is our shameless plug asking you to work with Vacationkids. Yes, our agents have a deep working knowledge of Disney World...and yes, there are a lot of travel agents out there that "specialize and are authorized" in Disney World Vacations. Far beyond Disney details, your group needs a travel agent who knows how to organize, negotiating, handle logistics, understands contracts, can create a group website, automate online payments, orchestrating social media and information, handling questions and special requests. Without that type of group travel experience and guidance, all this extra work falls on the shoulders of the group organizers. It will quickly your fun filled group vacation into a full time nightmare. WHATEVER you do, don't do this alone! One small mistake multiplied by a large number of travelers can become VERY expensive. 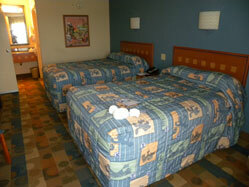 Select the Right Disney Resort - First, stay in the park at a Disney Resort - end of discussion! Disney World encompasses over 50 square miles. Any money "saved" staying at a "cheaper" hotel will be wasted in time just getting to the parks, not to mention the value -adds for Disney Resort guests. 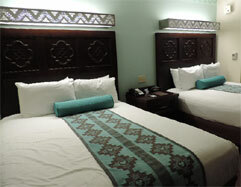 Disney resorts offer three category hotels - Deluxe, Moderate and Budget. When consulting with group leaders, regardless of your price point, we always recommend selecting at least one Disney resort that offers accommodations for families with 3 or more kids. We appreciate that it's often difficult to please everybody with especially large groups. One suggestion is to sub-divide your group into smaller groups. This works for adults and grandparents who may prefer the elegance of the Grand Floridian who are traveling in a group with young families who want to dive right into the Nemo pool at the Art of Animation resort. Include a Dining Plan - The less your group guests have to think about additional costs the easier it will be to say YES, I want to go. Bundling transportation, accommodations, entertainment and meals into one package price really helps people when it comes to their travel budgets. Short of souvenirs and a few cocktails, they will know up front how much their vacation will cost in advance. You offer convenience and save them the worry and dread. Everyone can simply relax and share a delicious meal together. Include the Memory Maker photo package - This one is a NO brainer. Besides now Uncle Eddie can actually be IN the pictures with everyone else. $149 spent once, everyone links into the account and has professional photographs that get everyone into the picture at the same time. To complicate matters a bit more Disney has different departments and rules for every kind of group imaginable. Sports teams, scout troops, school trips, performers, reunions and weddings all have different group departments and playbooks. The good news is, you've come to the right place and we're ready to help and get your group on it's way to having lots of fun. Disney villas are perfect for larger or extended family groups traveling together. 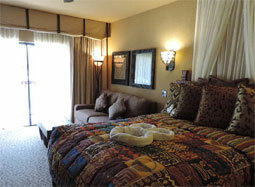 They offer upscale accommodations and some of the best locations closest to the parks. All Disney Villas offer themed luxury accommodations, immersive experiences and plenty of Disney Magic. Value Resorts at Walt Disney World are all about getting the most magical fun out of your vacation dollars. Deluxe Hotels at Disney World are all about luxury and location! Moderate Resorts in Walt Disney World have the perfect balance of value and features. They offer more amenities like larger rooms, better curb appeal landscaping than value resorts and coffee pots in the rooms (which is an extremely important feature for many parents, myself included). Like all Disney Resorts, these guest rooms offer free high speed Wifi. If you are looking to stay at a Moderate Disney World Resort, two of your options include Disney's Port Orleans - Riverside and Disney's Port Orleans - French Quarter. (Both are amazing!) This particular pair of Resorts can be found side by side to one another in the Downtown Disney area in Lake Buena Vista, Florida! 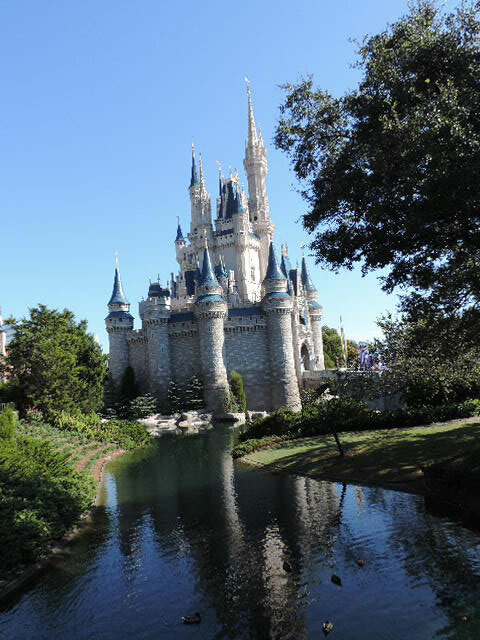 There is a lot to see and do while you are in Walt Disney World! Throughout the four theme parks you will enjoy rides, shows, character meet and greets, and parades! 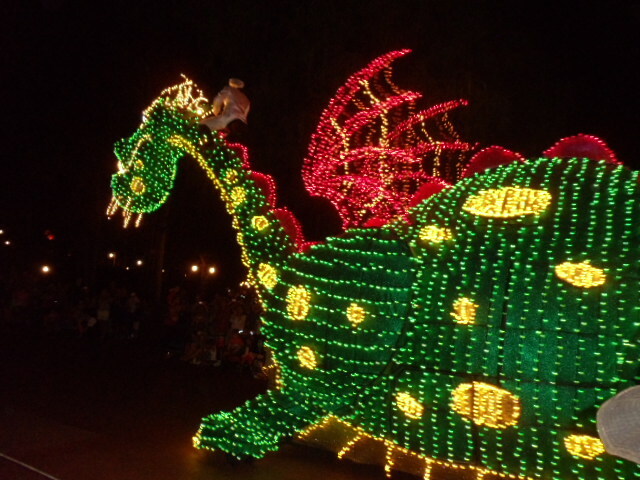 For many guests the parades at Disney are a highlight of their vacation! Whether you arrive early for the perfect spot or watch from a distance you are sure to be left with a lifetime of memories. I would be shocked if you told me that you had not heard of the Walt Disney World Monorail. 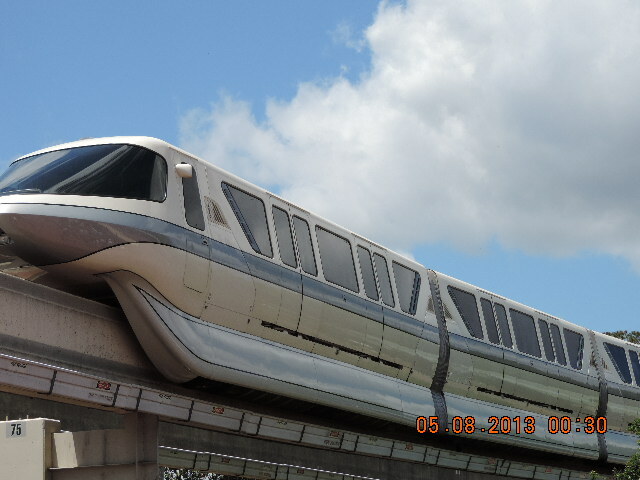 I am a huge fan of the Monorail system and have utilized this free transportation system at Walt Disney World many times! The Walt Disney World Monorail opened along with the park on October 1, 1971. It has expanded and improved over the past forty plus years. Each of the twelve Monorails has six cars and can carry 365 passengers. They travel on rubber tires on concrete beams which are supported by concrete columns. The entire track is 13.6 miles and will carry an average of 150, 000 people per day. It can be used one hour prior to the earliest park opening and one hour after the latest park closing. The cars are air conditioned and the doors open automatically. Passengers can sit or stand in the cars and there is space for strollers. Castmembers are available at all time to assist any passengers with mobility issues or special needs. The Monorail is just one part of the Walt Disney World transportation to various locations or as a fun ride to see some of the sights in Walt Disney World. The Monorail offers two routes with stops in different locations. If you find yourself at Epcot and you want to get to Magic Kingdom you can board the Monorail at Epcot and take it to the Transportation and Ticket Center, you will then need to board another Monorail that will take you to the Magic Kingdom and vise versa. Everything is clearly labeled and announcements are made during your ride, but if you miss your stop on Route 1,which I have done, DO NOT WORRY! The average speed of the Monorail is 40 miles per hour, sit back, relax, and when you loop around to Magic Kingdom (the second time), simply exit the cab once it has stopped and the doors have opened. For some Disney fans the Monorail is more than just transportation, while you await the arrival of your Monorail, take note of the color stripe or special scheme. Three of the Monorails have a Delta line to differentiate them from the other colors. Some fans can tell you all the colors and schemes that have existed over the years and chances are, if you're a super fan, you've ridden all of them, too! Recently I saw that an original Red Monorail car had been listed on Ebay for $189, 000! I am not sure what you would do with a Monorail car if you bought one, but no doubt this particular Disney fan had something magical in mind. From time to time the monorail cars are "wrapped" to promote special events or movie premiers. If you are a big Star Wars fan, be sure to listen closely as the announcements are made along your Monorail ride. Tom Kane who voiced Yoda in the series, Star Wars: The Clone Wars, is the currant narrator! Sit back, relax, and enjoy the ride! 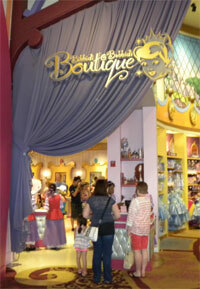 No doubt your little princess will want the royal treatment at Disney's Bibbidi Bobbidi Boutique during your family's visit to Walt Disney World. These little girl (and boy) spa treaments are extremely popular. Our Vacationkids staff is constanly being asked about this info so we thought we'd do our best to help put it all in one place for our guests.